1 D None No Power Seat 1 D is a standard Business Class seat however, the position of the bassinet and proximity to the galleys may be bothersome. 1 F None No Power Seat 1 F is a standard Business Class seat however, the position of the bassinet and proximity to the galleys may be bothersome. 11 A None No Power Seat 11 A is a standard Economy Class seat that has extra legroom as there is no bulkhead wall, only a curtain divider. This seat is actually a Business Class seat that is sold as part of Economy. 11 C None No Power Seat 11 C is a standard Economy Class seat that has extra legroom as there is no bulkhead wall, only a curtain divider. This seat is actually a Business Class seat that is sold as part of Economy. 11 D None No Power Seat 11 D is a standard Economy Class seat that has extra legroom as there is no bulkhead wall, only a curtain divider. 11 E None No Power Seat 11 E is a standard Economy Class seat that has extra legroom as there is no bulkhead wall, only a curtain divider. 11 F None No Power Seat 11 F is a standard Economy Class seat that has extra legroom as there is no bulkhead wall, only a curtain divider. 12 C None No Power Seat 12 C is a standard Economy Class seat that has extra legroom due to the missing seat in front. 16 A None No Power Seat 16 A is a standard Economy Class seat that has extra legroom due to the exit in front however, this seat may have limited recline due to the exit row behind. 16 B None No Power Seat 16 B is a standard Economy Class seat that has extra legroom due to the exit in front however, this seat may have limited recline due to the exit row behind. 16 C None No Power Seat 16 C is a standard Economy Class seat that has extra legroom due to the exit in front however, this seat may have limited recline due to the exit row behind. 16 D None No Power Seat 16 D is a standard Economy Class seat that has extra legroom due to the exit in front however, this seat may have limited recline due to the exit row behind. 16 E None No Power Seat 16 E is a standard Economy Class seat that has extra legroom due to the exit in front however, this seat may have limited recline due to the exit row behind. 16 F None No Power Seat 16 F is a standard Economy Class seat that has extra legroom due to the exit in front however, this seat may have limited recline due to the exit row behind. 17 A None No Power Seat 17 A is a standard Economy Class seat that has extra legroom due to the exit row in front. 17 B None No Power Seat 17 B is a standard Economy Class seat that has extra legroom due to the exit row in front. 17 C None No Power Seat 17 C is a standard Economy Class seat that has extra legroom due to the exit row in front. 17 D None No Power Seat 17 D is a standard Economy Class seat that has extra legroom due to the exit row in front. 17 E None No Power Seat 17 E is a standard Economy Class seat that has extra legroom due to the exit row in front. 17 F None No Power Seat 17 F is a standard Economy Class seat that has extra legroom due to the exit row in front. 2 D None No Power Seat 2 D is a standard Business Class seat that has extra legroom due to the missing seat in front. 32 A None No Power Seat 32 A is a standard Economy Class seat that may have limited recline. The proximity to the lavatories may be bothersome. 32 B None No Power Seat 32 B is a standard Economy Class seat that may have limited recline. The proximity to the lavatories may be bothersome. 32 C None No Power Seat 32 C is a standard Economy Class seat that may have limited recline. The proximity to the lavatories may be bothersome. 32 D None No Power Seat 32 D is a standard Economy Class seat that may have limited recline. The proximity to the lavatories may be bothersome. 32 E None No Power Seat 32 E is a standard Economy Class seat that may have limited recline. The proximity to the lavatories may be bothersome. 32 F None No Power Seat 32 F is a standard Economy Class seat that may have limited recline. The proximity to the lavatories may be bothersome. 7 D None No Power Seat 7 D is a standard Business Class seat however, noise from the more crowded Economy cabin may be bothersome. 7 E None No Power Seat 7 E is a standard Business Class seat however, noise from the more crowded Economy cabin may be bothersome. 7 F None No Power Seat 7 F is a standard Business Class seat however, noise from the more crowded Economy cabin may be bothersome. This South African Airways Boeing 737-800 features a two class configuration; with 32 seats in Business and 125 Economy Class seats, for a total seating capacity of 157 passengers. 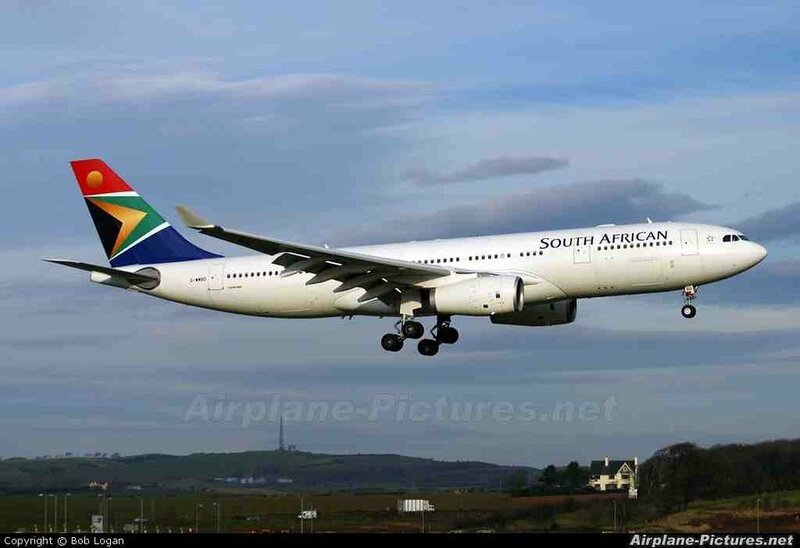 This aircraft is primarily used on a variety of short haul services. Seat is fine; bit cramped but overall not bad. Cushion is lacking. It was very crammed but okay to endure for 4 hours. People in economy drink way too much and restricted the flight crew from serving meals. flight back on the airbus was way better despite having 6 infants around us. I found that the seats in the back two rows are slightly narrower than the rest of the Economy Class seats. This is the worst seating I have seen for a business class cabin. 32 seats cramped into a Boeing 737 with 1 toilet; seats up so close that when someone reclines, your meal is served right up to you if you know what I mean. Very disappointing - looks more like a premium economy than Business; crew were great but were exhausted due to the cramped style, narrow alley, constant movement of passengers, trolleys, trays, wow, what a bazar for four hours! 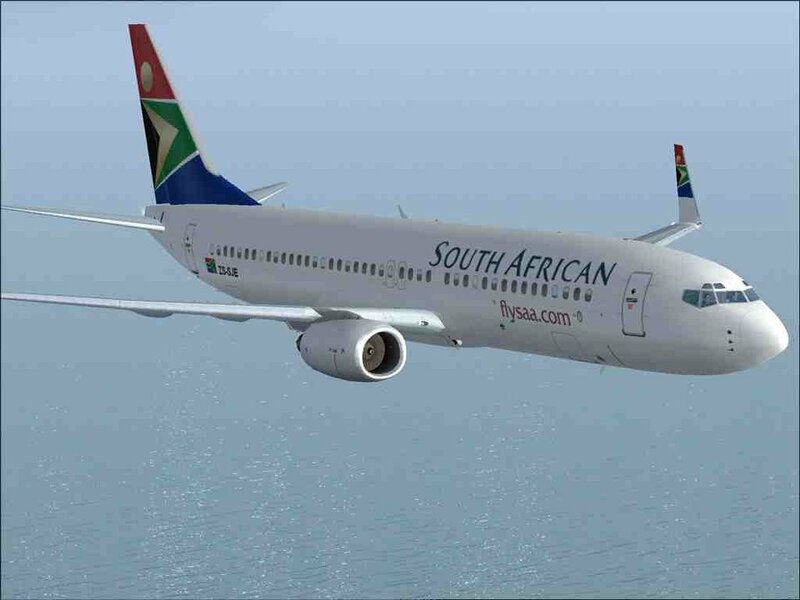 South African Airways flies 1 versions of Boeing 737-800.